We are so honored to be included in this new cookbook! To be within page-flipping distance of Thomas Keller, Jean-Georges Vongerichten, and another Providence Chef, Derek Wagner, is quite a privilege indeed. 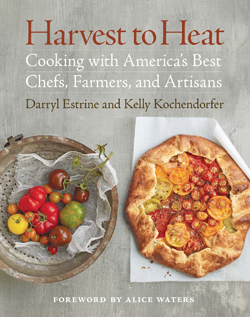 This book highlights the necessary relationship forged by Chefs, Farmers & Artisans. Order yours today at www.harvesttoheat.com.